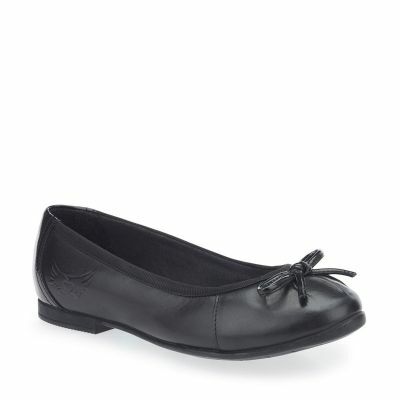 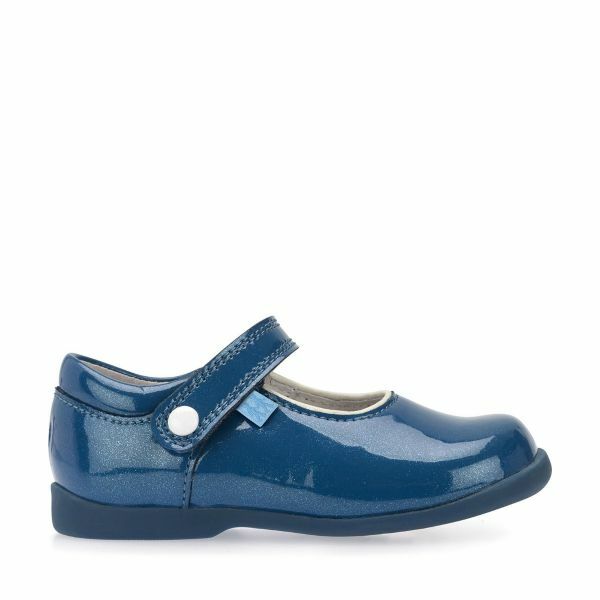 A show-stopping classic Mary Jane for stylish girls’ feet. 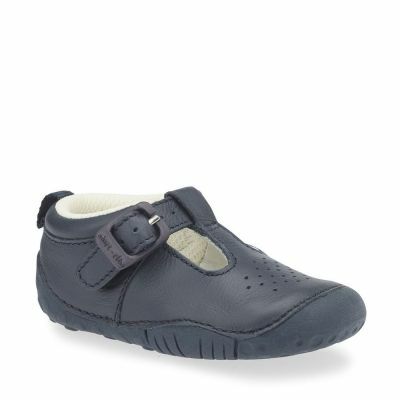 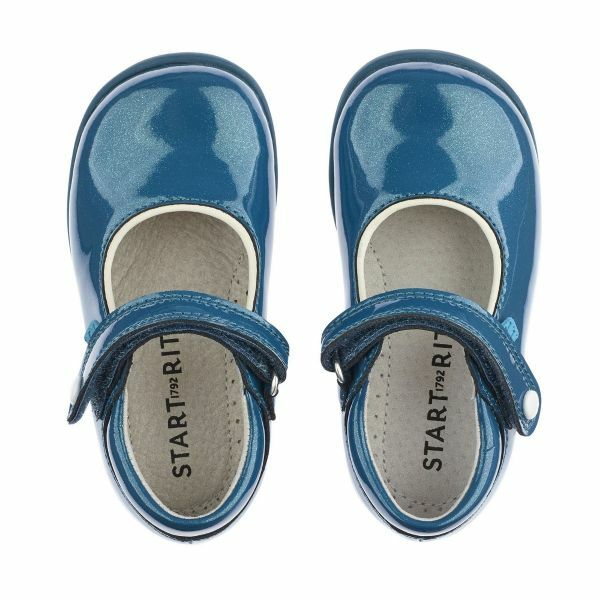 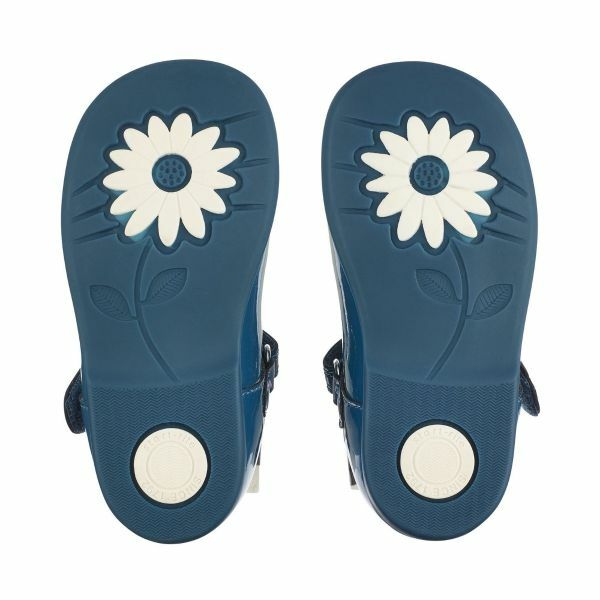 Our First Steps Nancy in a blue patent finish with contrasting white trim and button detailing has the necessary wow factor, while providing instant comfort on the move with its lightweight flexible sole. 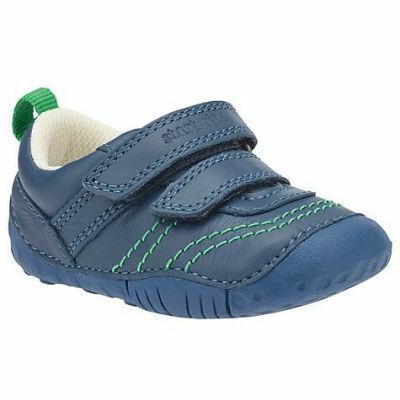 An adjustable riptape fastening adds to the comfortable fit, while leather linings absorb moisture to keep active feet dry.